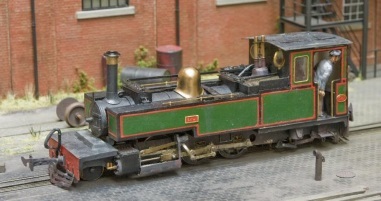 Come and see some of the finest narrow gauge models in or about 7mm to 1 ft scale at our Annual Exhibition in Burton Upon Trent on the second Saturday in June each and every year. Our next Exhibition will be on 8 June 2019 and will, as usual, combine a wide range of superb layouts, display models, demonstrations and traders. In 2019, our AGM will be held at the SWING exhibition in Littlehampton on Saturday 18th May. Do you want to model the narrow gauge and in a larger scale? Perhaps you have an O scale layout and want to add a narrow gauge feeder line, or perhaps you just think this would be the ideal scale/gauge combination for you? Use the menu alongside to explore our website and see what we offer. You may find our "What we do" page a useful starting point. Members receive 6 all-colour copies of our magazine 'Narrow Lines' per year, as well as discounts on purchases. If you like what you see, please fill in the appropriate application form accessed from the "Joining" page. A diary of model railway events around the country, includes those at which one or more of our members is exhibiting a layout. Don't forget to tell us if you are doing so with an appropriate layout and the event can be added to the diary. If you attend one of these exhibitions, please do not hesitate to ask questions about modelling in 7mm scale and the narrow gauge prototypes. Members will find certain items, for which we have applied restricted access, in the Member's Area.